Fundraising Items: Important Note: Click here if you’d like to order directly from our suppliers. Enter your “Donation Code” then click “Apply” to proceed. 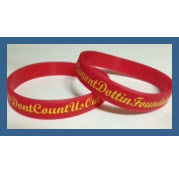 (The coupon code is sent to you after you’ve made your donation.) To adjust the quantity, simply change it and hit “Enter.” Thank you for your generous support. 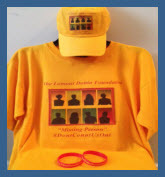 35.00 for shirt, hat & wristband (2.00 discount when all three are purchased so, instead of paying 37.00 you pay 35.00).